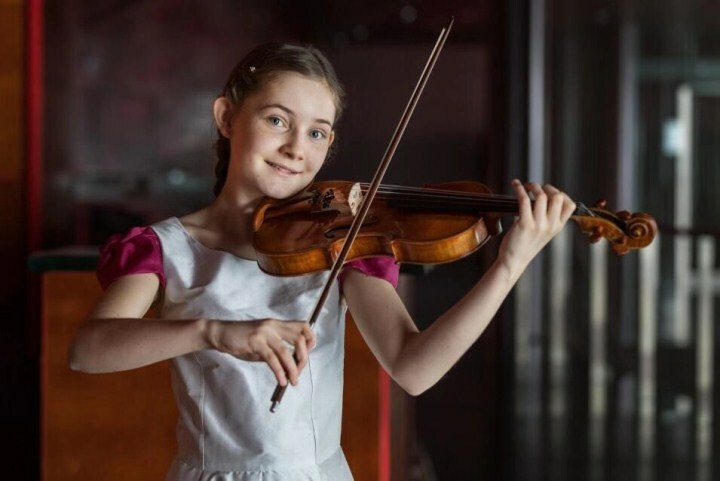 Alma Deutscher, said to be the youngest composer, pianist and violinist today, will put on a concert for the Third Shenzhen Belt and Road International Music Festival on March 27 at Shenzhen Concert Hall. Deutscher’s love for music began when she was very little. She told the Daily that she had an intense relationship with music even before she was born, as her mother played the piano a lot during her pregnancy. With this, you probably will not be astonished to learn that she could name musical notes before she could read words. However, Deutscher said that the first thing she can remember is when she first heard a lullaby by Richard Strauss, sung by Elisabeth Schwarzkopf, at 3 years old. It was at this very moment that she went to her parents and asked them in amazement how music could be so beautiful. Even with her great talents, Deutscher still maintains that things cannot be achieved without a lot of work. “Nothing comes without effort,” she said. Some people might reckon that it is very rare to see a musical talent like Deutscher nowadays, who is exceptional in more than one field. But, according to Deutscher, many composers have the talent to perform and many performers would probably have the talent to compose if they wanted to try. At the top of Deutscher’s daily routine is practicing and composing. “In my case, practice is also enjoyable most of the time and when you practice composing, you create new things, so it’s always fun,” she added. In addition to piano, violin and composition, Deutscher loves reading, dreaming and doing outdoor activities like climbing trees, skipping with her skipping rope and running.